Once you decide you no longer want to use your credit card, you can simply call your credit card issuer to cancel it. Your credit card issuer also has the right to cancel your credit card at any time. You may not even get a warning when your credit card is canceled and inconveniently learn your card has been ​canceled when it's declined at the register. If you're wondering why a credit card issuer would cancel a credit card, here are a few reasons. Credit card issuers aren't allowed to charge a dormancy or inactivity fee to cardholders who don't use their credit cards for several months. While some card issuers charge an annual fee that can be waived if you use your credit card, others skip the fee and just cancel your credit card if you stop using it. Your credit card terms may outline how often you need to use your credit card to keep it open. To be on the safe side, use all your credit cards every three or four months to keep them open and active. Otherwise, an unused credit card may be cancelled by the credit card issuer. The terms of your credit card require you to make regular minimum payments. While your credit card probably won't be cancelled after just one missed payment, a more serious delinquency can lead to more serious problems. Some credit card issuers will suspend your charging privileges if you're 60 or 90 days past due and let you start charging again once you bring your account current. However, your credit card will be charged-off and closed completely after 180 days or six months of non-payment. While creditors can't increase your interest rate because of late payments on other accounts (unless the account is with that same credit card issuer), they can close your account completely. If your credit score starts slipping because you're falling behind on your payments, your credit card issuers might start closing your credit cards. 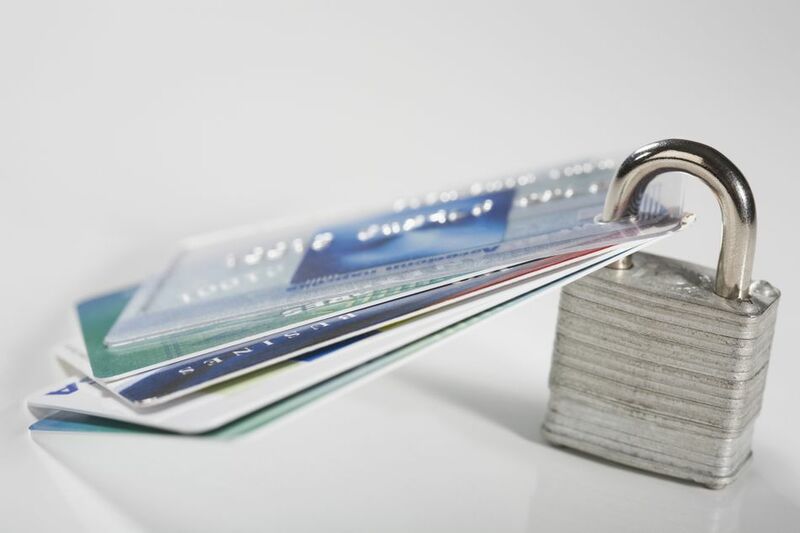 Before a credit card issuer can make a pricing change to your credit card, like raising a fixed interest rate or annual fee, they must give you a 45-day advance notice. During that time period, you can reject the new credit card terms and choose to pay off your account under the old terms. However, many credit card issuers close your account if you decide to reject the new terms. Credit card issuers continuously review their credit card portfolio and get rid of credit cards that no longer fit. In this case, your credit card issuer will likely send advance notice before closing your credit card and let you know your options. You may be able to transfer your account to another credit card with the same credit card issuer. Unfortunately, some credit card issuers are forced to shut down operations when they are no longer profitable. Many credit card issuers sell their credit card accounts to a new credit card issuer. The new card issuer may close the credit card and require you to apply for a new account if you want to do business with them. A canceled credit card seldom has a good outcome. Your credit score may drop, especially if the credit card still has a balance, because it raises your credit utilization. The good news is that your credit score can improve over time as you reduce your credit card balances. If your credit card is cancelled, you're still responsible for making at least the minimum payment until your balance is completely repaid.